What have you got against Elizabethans? 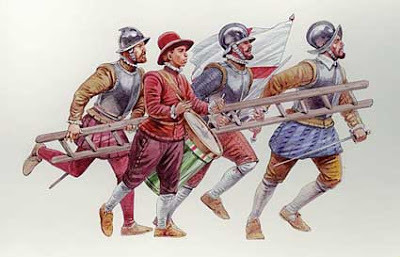 You may have noticed that I've got a bit of a thing about Wargaming the Dutch Revolt. It's a period the interests me and lets face it, thats the way it should be. If a certain period piques your interest it's only natural that you might want to war-game in that period. It makes sense. I'd imagine that it isn't that way for a lot of people though. The latest new miniatures could catch your eye and make you go searching for information about the period they come from. Or perhaps a bunch of your friends are starting to use a new rule set and you are pressured into buying and painting a force for it in order to play. These are all valid. 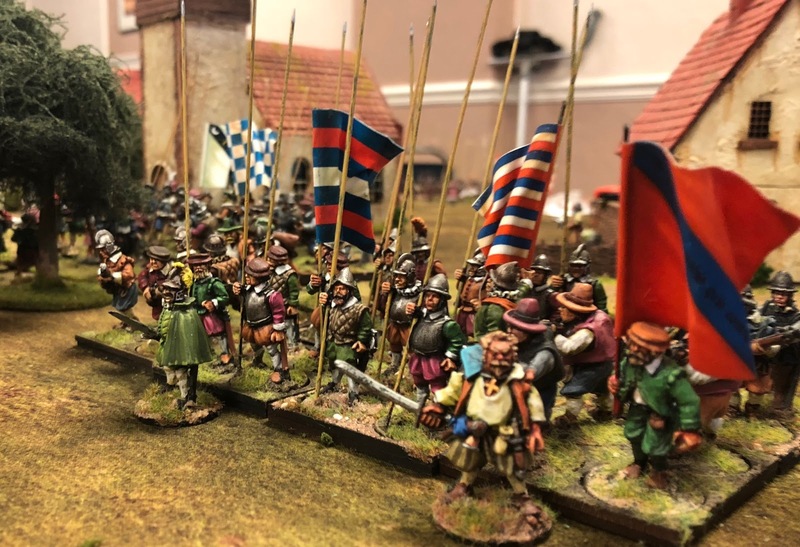 On Saturday 9th of April the Devon War-games group held their inaugural Lardy day, an invitational day of gaming where members and guests put on a hall full of games using rules written and published by TooFatLardies. 40 odd gamers packed the room to play a wide variety of games and you can see the overview of the day HERE. 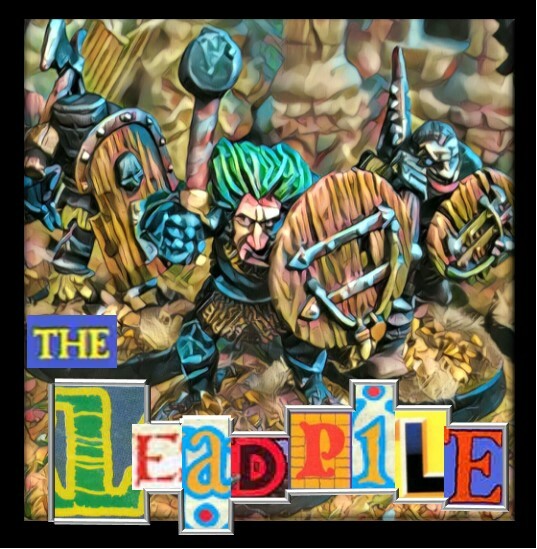 I was lucky enough to put on a game using my Dutch Revolt figures and terrain and I thought I'd show of some pics of the day. 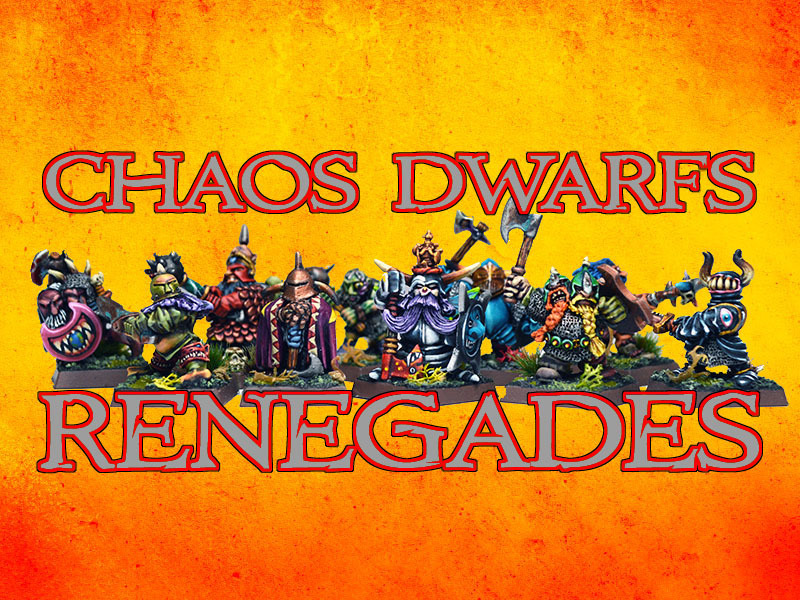 Just a quick post to show off a couple of units that i've finished off this week. After the run through of the game the other month the guys that played suggested that the Spanish could do with cavalry that was more aggressive rather than the Harquebusiers. 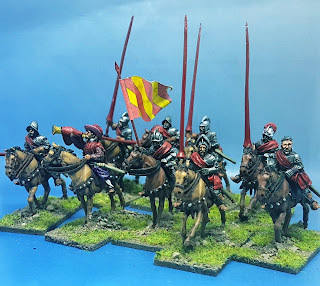 So to solve this problem i've painted up a unit of Spanish Lancers. 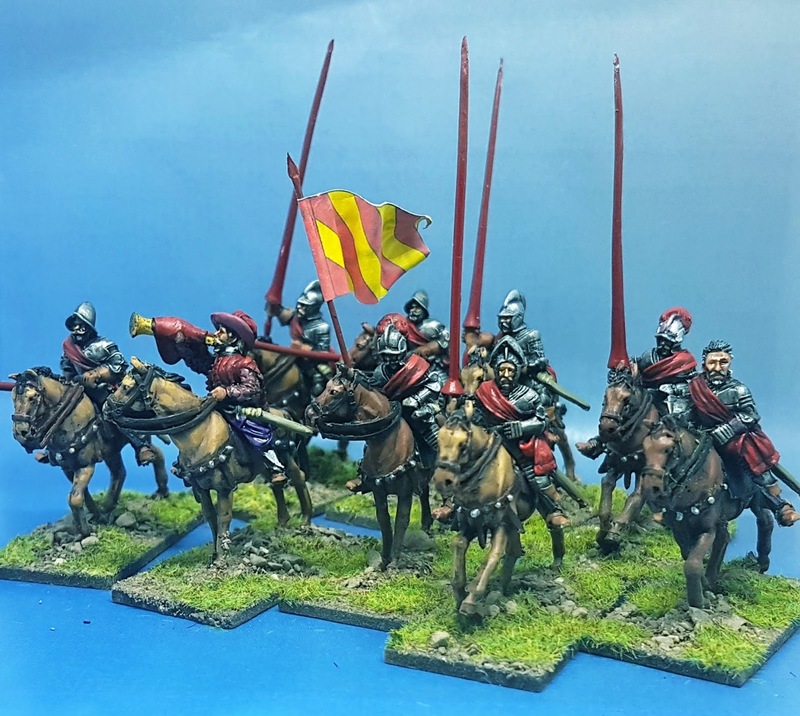 These are the new Warlord Games Gendarmes from their wars of religion range and they are perfect for the kind of armoured cavalry that the Spanish used extensively throughout the period.